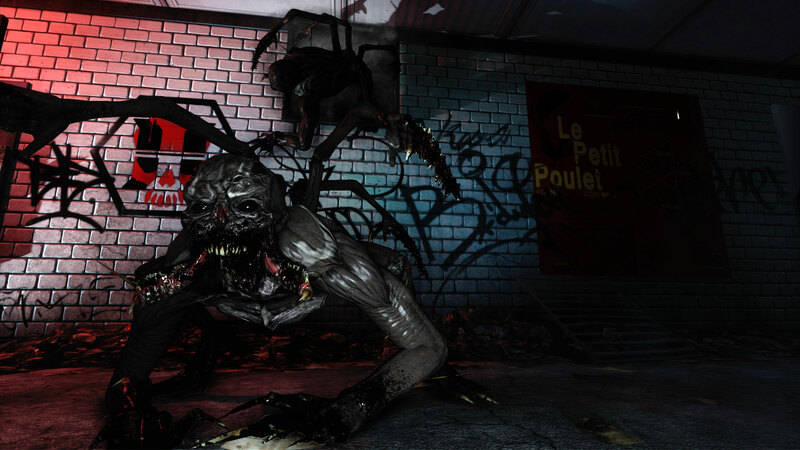 In many ways, Killing Floor 2 resembles the original. It is still a wave-based zombie shooter where you fight off hordes of monstrosities created by Horzine Biotech. 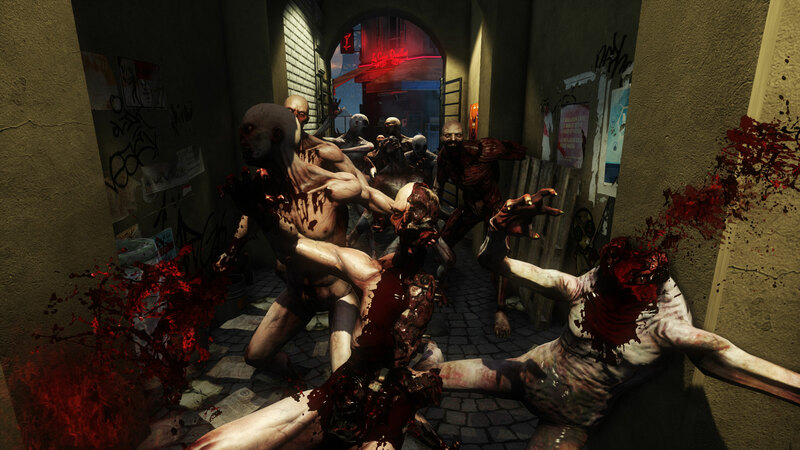 Most of the gameplay mechanics are straight out of the first game, like “Zed Time,” the game’s dynamic slow-mo system, all of the enemy types from the previous game, and the Patriarch, the sole boss of the original Killing Floor. In and of itself, this is nothing special, innovative, or noteworthy. We’ve all seen a billion horde mode games and somehow even more zombie games. Where Killing Floor 2 truly succeeds is in its focus, sense of identity, and well-honed mechanics. The scope of Killing Floor 2 is laser-focused and while most of the time this serves in delivering a consistently excellent experience, it also makes the amount of content feel lacking. For example, there are only twelve maps. While this may be on par with most triple-a shooters, they have the potential to become repetitive due to the time-demand the game’s leveling system puts on the player and because the maps are voted on at the ends of matches, leading to community favorites being played abundantly more often. The benefit of this focus, all 12 maps are incredibly fun and there is only one spot I’ve found in around 30 hours of play that can be very easily exploited (for those wondering, it’s the guard tower on Prison), which is a hefty improvement over the abundance of exploits from the first game. The class and leveling systems have also been drastically improved from the first game, featuring faster leveling and a choice-based system that allows you to personalize how you play each class. Class abilities start with small things like increased reload speed vs. increased magazine capacity and ramp up to Zed Time-specific game-changers at level 25 like infinite ammo and real-time firing vs. being able to sprint through enemies with massive knockback. Unfortunately, none of the classes really feel distinct before level ten when you can choose your second class ability, which takes about six to eight hours to unlock. Combine this with the total ten classes, and Killing Floor 2 is asking for a lot of your time. Finally, there are only two bosses: the Patriarch and Hans Volter. At the end of every match you’ll be faced with one of the same two bosses, which can get very repetitive. Fortunately, these fights are always very demanding and never become easy. Between the two, the Patriarch feels like the more well-designed boss as he feels equally dangerous at most ranges but is susceptible to most types of damage. Hans Volter on the other hand feels infinitely more dangerous at close ranges and is much less vulnerable to bullets, making only the Demolitionist, Firebug, and Survivalist feel exceptionally useful. It is disappointing that a third boss wasn’t added when the full release came as some more variety here would be greatly appreciated. Killing Floor 2 features a range of cheesy, quippy characters that really lend themselves to the overall feel of the game, all of whom you can outfit with a variety of silly accessories and outfits. My personal favorite characters are returning favorite Mr. Foster and new character Rae Higgins. While the character customization is always welcome, Tripwire has decided to follow the single worst model of unlocking aesthetic content: Valve’s chest and key system. While the cosmetics are purely optional, it is incredibly frustrating to be “rewarded” with the opportunity to spend money. Ultimately, what really matters in a game asking you to perform the same task for hours on end (which is undeniably what wave-based shooters are) is simple: a solid mechanical base. Killing Floor 2 has this in spades, between the incredibly tight shooting and the well-designed enemies. Every enemy silhouette, sound, and movements are instantly recognizable, which is a necessity when a mob of dozens of enemies can be bearing down on you. Zed Time, forced slow-mo across all players that activates occasionally during headshots, multikills, and the like, is rarely frustrating and most often is a welcome respite and a chance to get your bearings, assess a target, or find an escape route. The dynamic enemy spawning is clever in keeping enemy spawns out of sight (there was only one spot I found where spawning enemies visibly popped in) while still being close enough to players to very rarely let them catch their breath in the later rounds. All these moving parts come together to create a solid back-and-forth of tension and relief as one wrong move can corner and kill you. Despite feeling like 70% of the game it should be and making some serious missteps along the way, Killing Floor 2 performs above and beyond other wave-based shooters on the market. Even players who’ve only dabbled in horde modes will be able to enjoy some time with Killing Floor 2. It isn’t going to change your mind about the genre, but managing to stand out in a realm chock full of cookie-cutter zombie shooters is impressive in this day and age. Killing Floor 2 is headed in the right direction for the genre, being both an excellent first step for newcomers and a welcome return to form for long-time fans.